A CD of two of Philip’s most highly praised and well-performed music is now available to buy, so you can listen any time! Performers can also purchase the Scores to these great works, with no performance fee. The album features the popular Jane Austen Suite and Chawton Suite, as well as a selection of Philip’s piano music and a number of songs. These have been performed by Alton Chamber Ensemble and guests, under the direction of the composer himself. If you would like to purchase the CD, the cost is just £12.50 in the UK or GBP15 worldwide (including postage and packaging.) It is also available to buy from Jane Austen House Museum and Chawton House Library. To place an order, get in touch with Philip via the Contact page. The Three Burns Songs were written especially for a performance at the Burns Night supper which took place at the Alton Maltings in Hampshire in January 2019 – and now you can get the music to perform yourself! 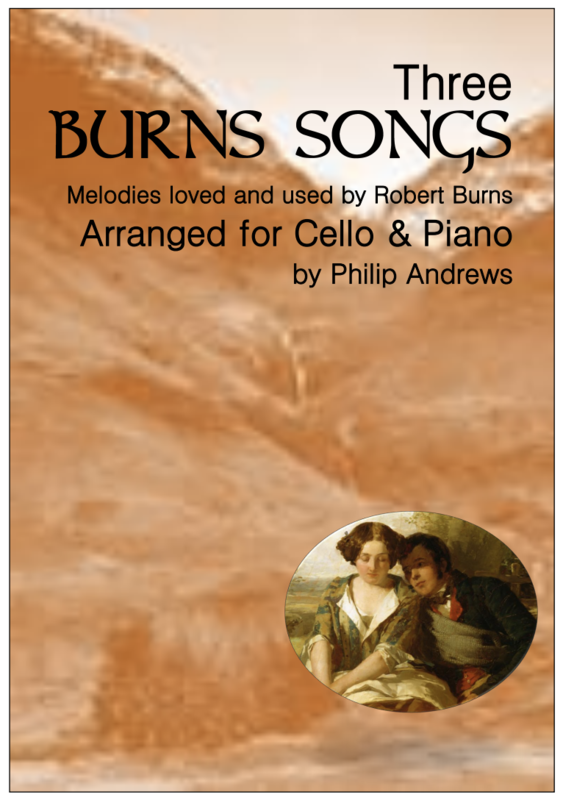 Arranged for cello and piano, the pieces celebrate Scotland’s national poet and lyricist Robert Burns. Comin’ Thro’ the Rye and Lovely Polly Stewart are the outer movements, with the hauntingly beautiful My Heart’s in the Highlands as the slow middle movement. The music has been published by Bee & Thistle Press and is available now for just £12.50. To make a purchase, get in touch with Philip through the Contact page.